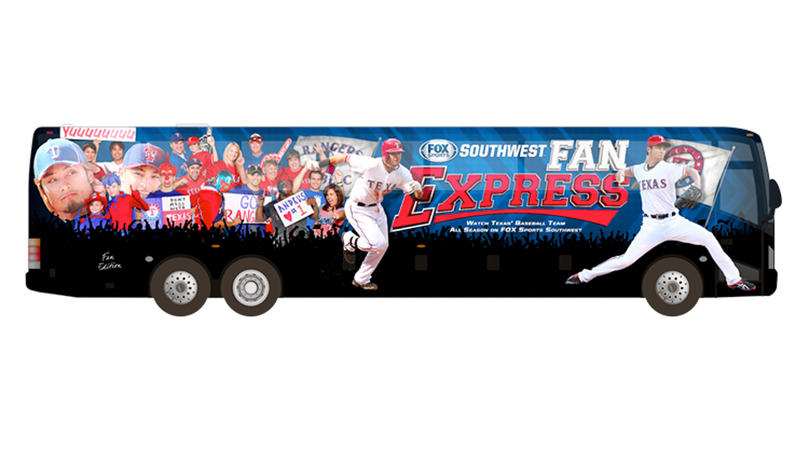 FOX Sports Southwest will be hosting fan auditions Saturday during Rangers Fan Fest with them having an opportunity to have their picture on the Fan Express bus this season. Auditions will take place from 9 a.m. until 4 p.m. at the FOX Sport Southwest booth inside the Hall of Fame Club. The new bus will be unveiled at the start of the regular season. In addition to the auditions, Cleatus will be on site for photos and fan interaction.